Have we ever posted this early in the day? I kinda like it. I had every intention of bloggin’ it up last night, but after watching Under the Tuscan Sun with the ladies, I was pretty wiped. 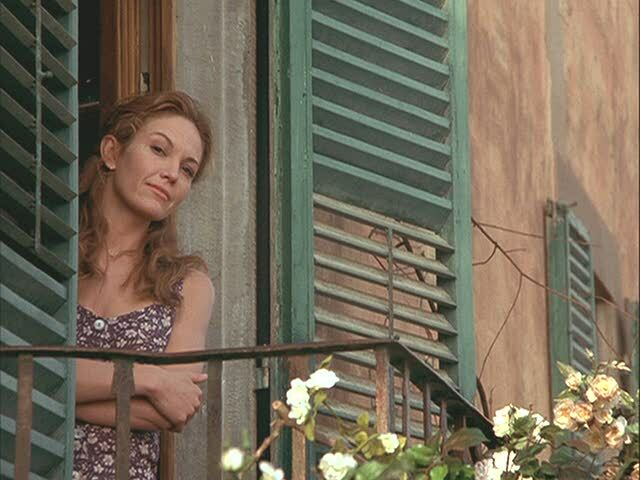 If you haven’t seen Under the Tuscan Sun, you should. It’s a great movie. 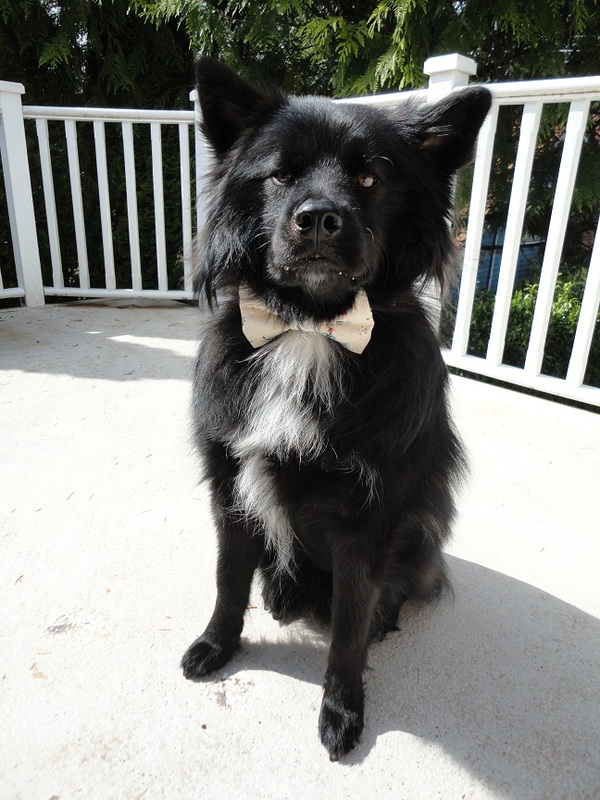 A few weeks ago, I showed you Teton’s new bow tie. I didn’t give you many details then, so here’s some more info! 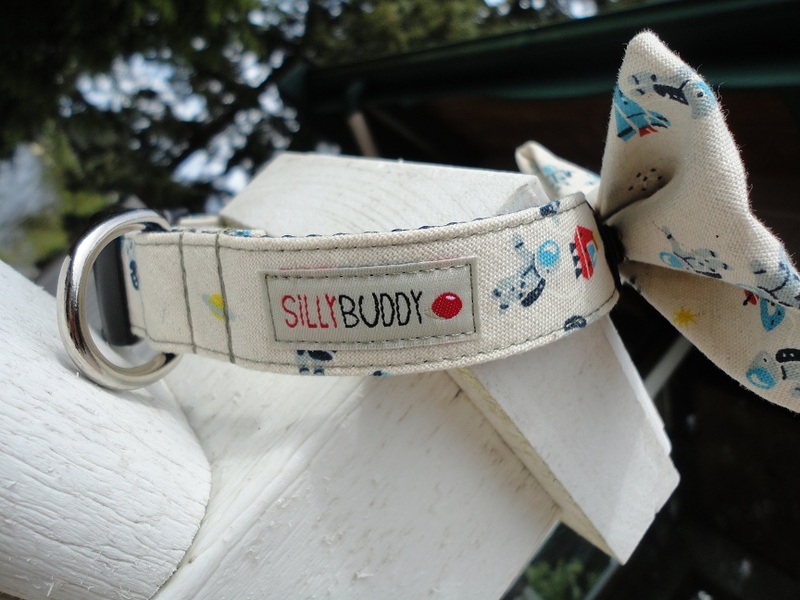 Our Silly Buddy bow tie collar was custom-made by the folks over at Silly Buddy in Chicago. 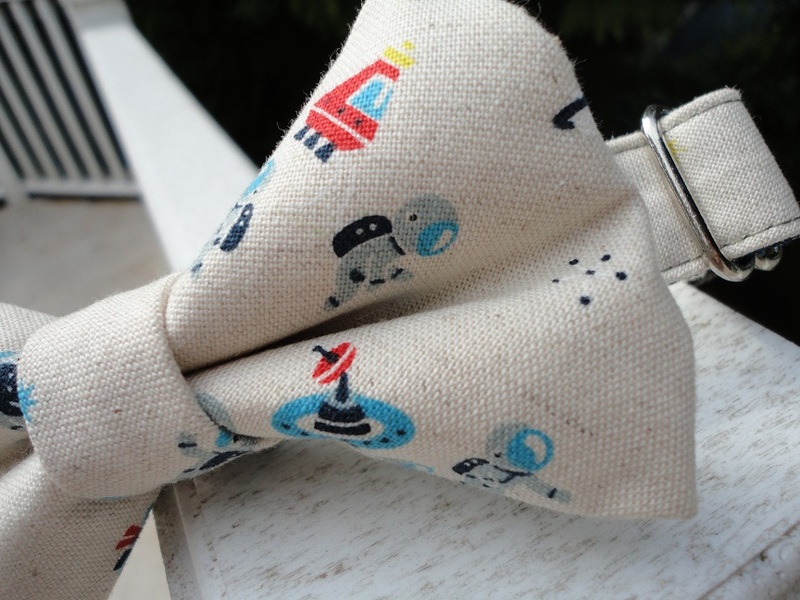 I had originally seen the Rocket Man Dog Collar on Silly Buddy’s Etsy site and fallen in love with it because I totally geek out over space stuff. 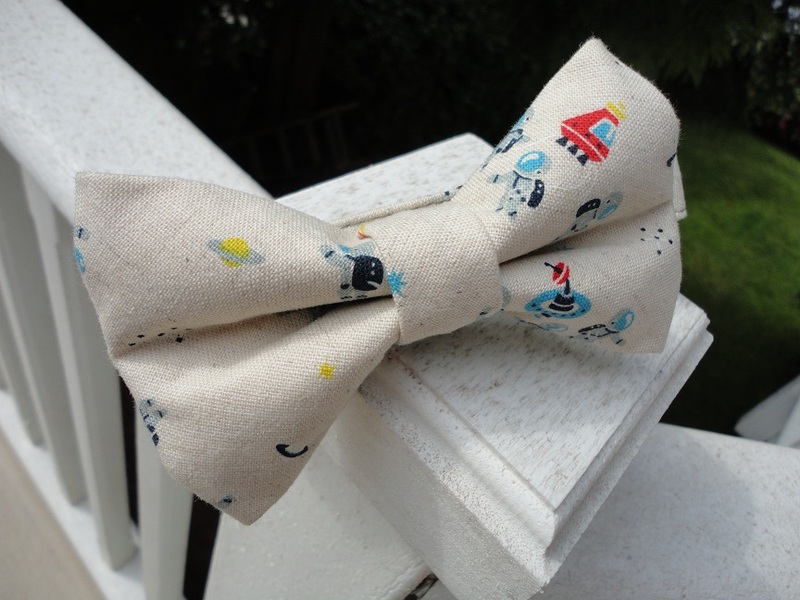 A friend’s suggestion prompted me to ask Silly Buddy if they would make a Rocket Man Bow Tie. Just one week later, Teton got his very own Rocket Man Bow Tie Collar in the mail! Talk about awesome customer service!!! And look how cute the packaging was! A personal thank-you for my order, too!!! I love everything about this bow tie collar. 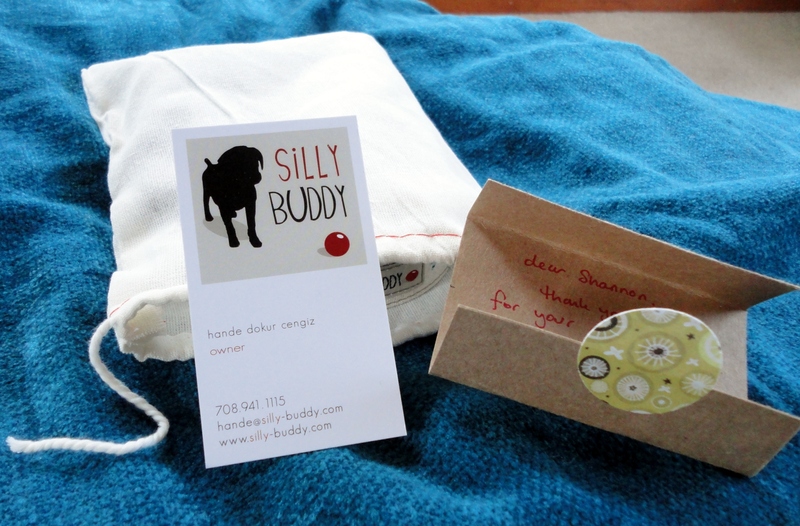 One look and touch immediately speaks to the quality of Silly Buddy’s products. Every stitch is perfect, every line straight. 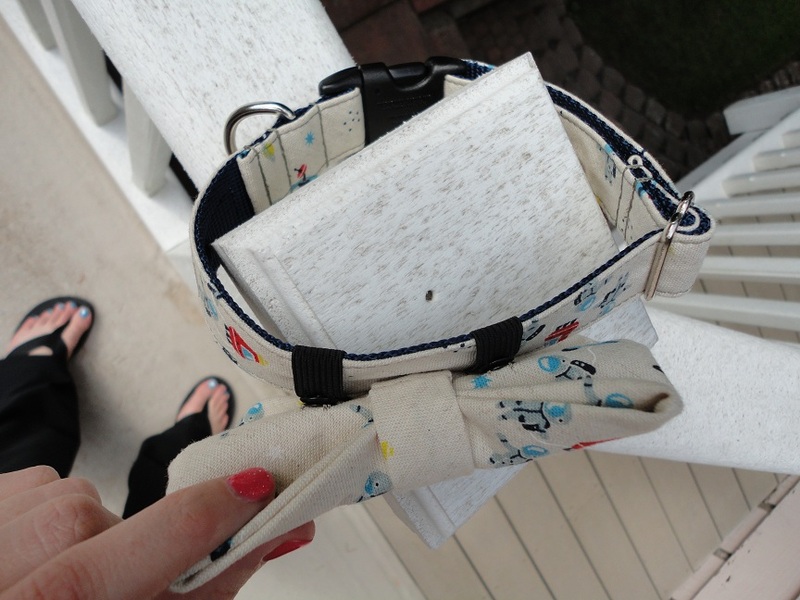 The buckle is strong and classic and the metal leash loop is the perfect size. 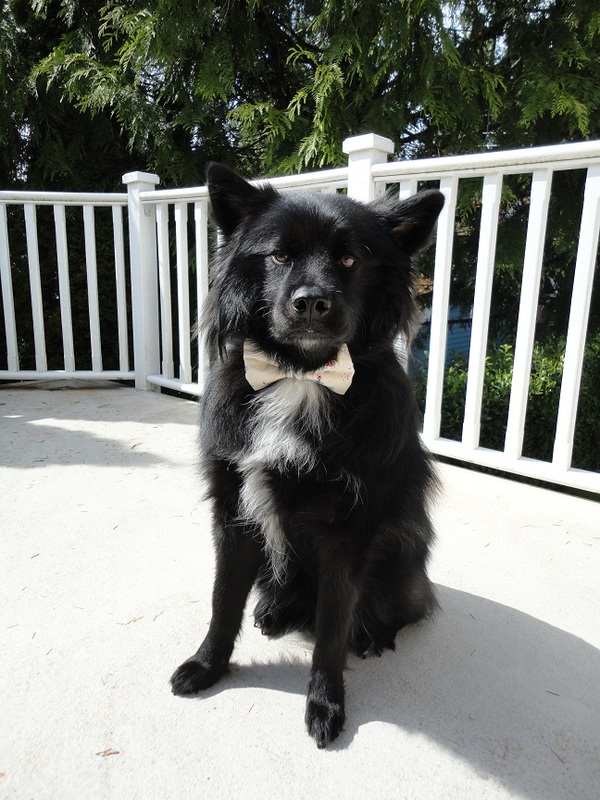 Teton doesn’t mind wearing his Rocket Man Bow Tie Collar at all! This posing is a direct result of treats. Even with all that hair you can see the bow tie! 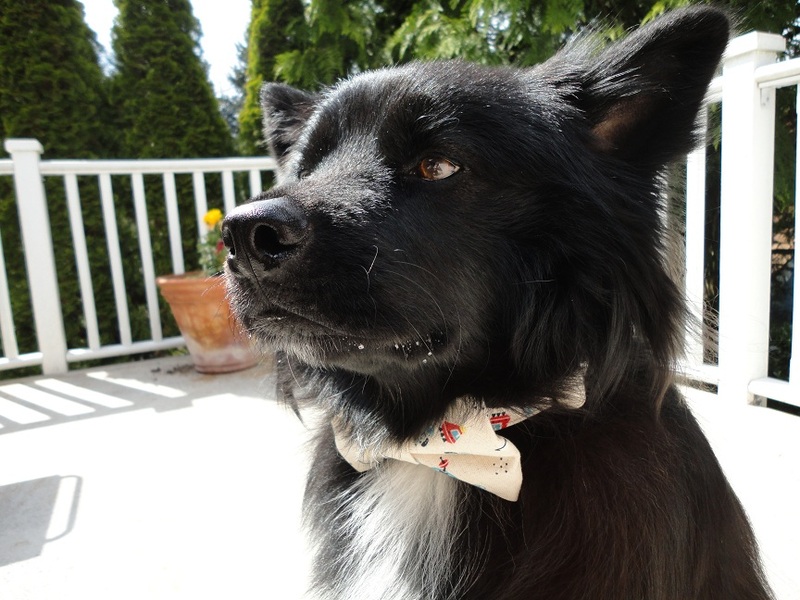 Do you know what I love best about our Rocket Man Bow Tie Collar? 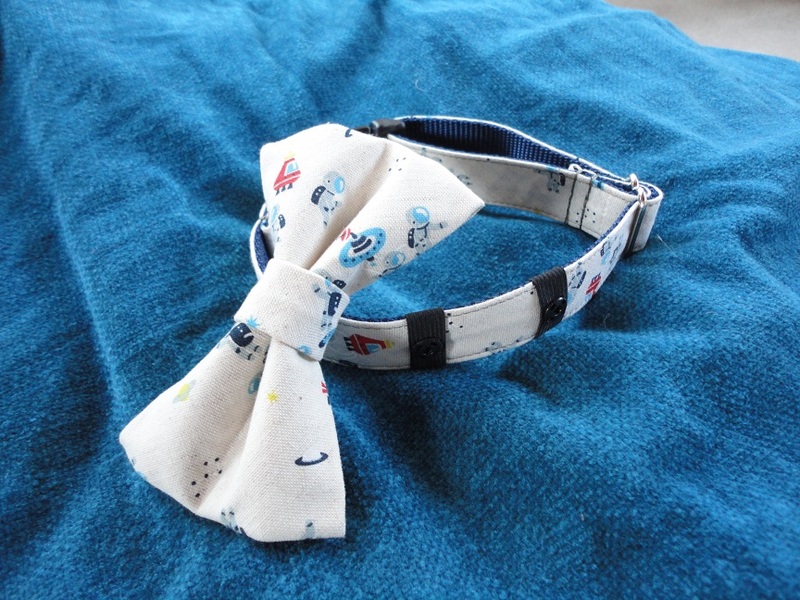 We can quickly and easily turn it into a Rocket Man Collar! Sans bow tie. See? Take this essential wardrobe piece from night to day by just removing the bow tie and sliding off the elastic strips that hold it on! Fabulous! Two products in one! 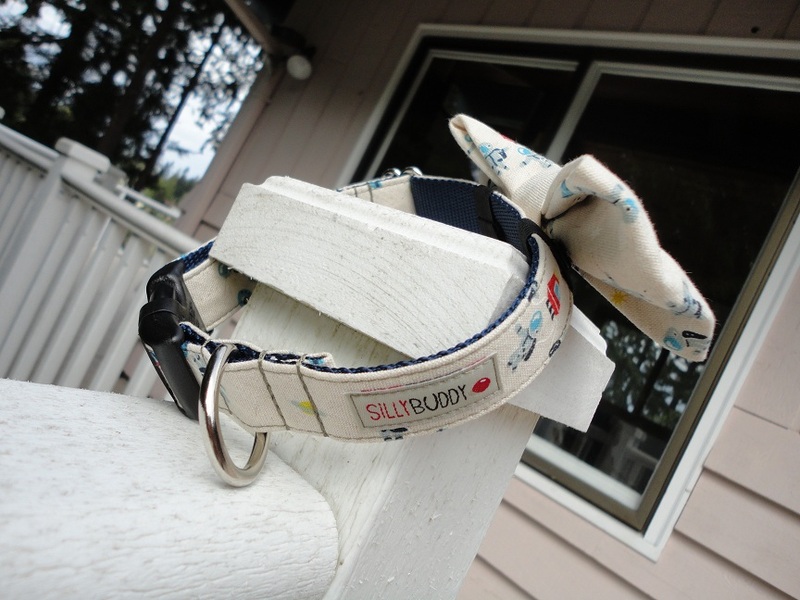 We couldn’t be happier with our Silly Buddy Bow Tie Collar and highly recommend Silly Buddy’s products. In other news, check out what I found at TJ Maxx yesterday for $3.99! Doing some serious work on the blog this month, so be sure that you check back often for new features and improvements. Do you subscribe to Her Dog Blog? If not, I hope you’ll consider it! Check out the new categories sidebar on the site to quickly filter on what types of products and/or topics you are interested in. Posted on May 15, 2011 by Shannon	This entry was posted in Closet. Bookmark the permalink. 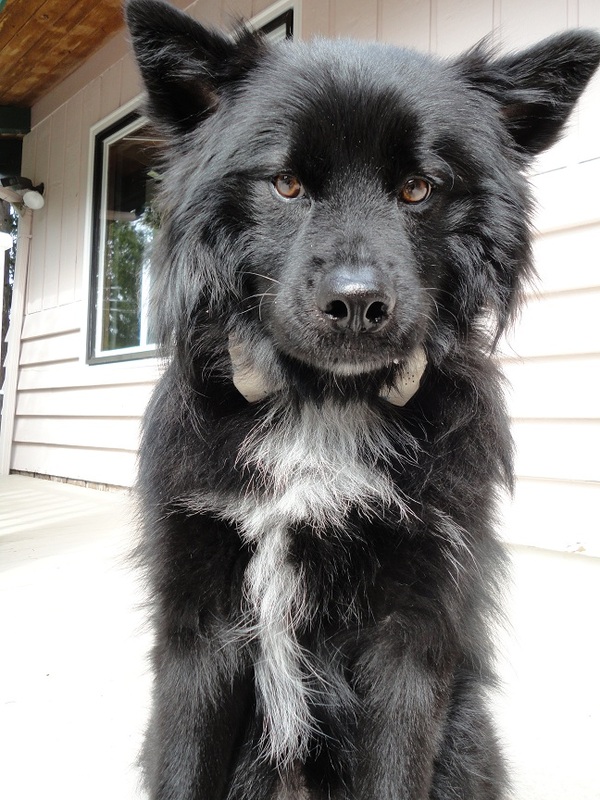 I love Teton’s collar – it’s awesome that the bow tie can be easily removed. I love multi-functional pieces. Thanks, guys! Yes, two collars in one! So great. 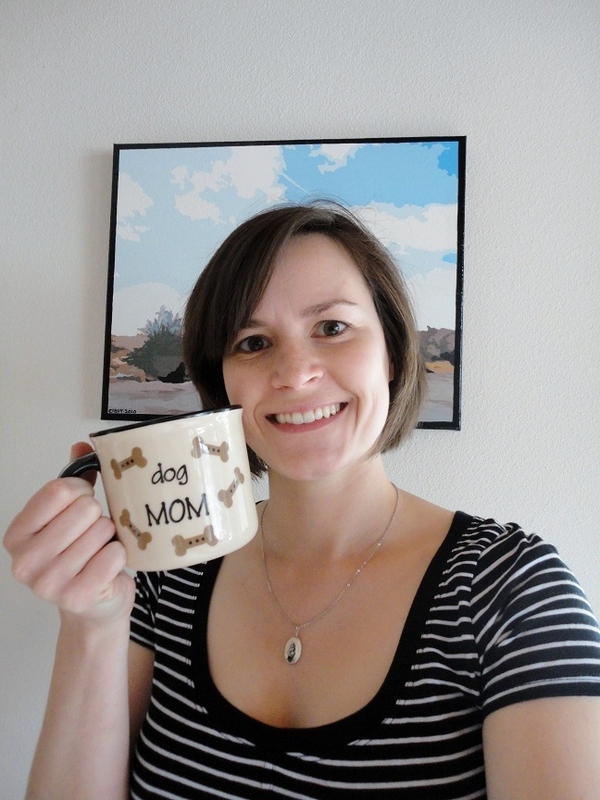 Aren’t we such nerds with our Dog Mom/Dog Lover finds? Love ’em!